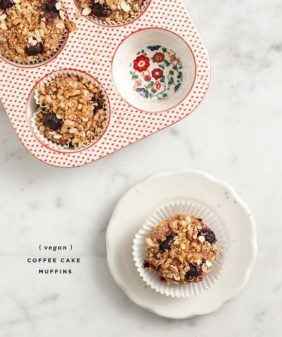 These vegan muffins are perfect when you want a nice light breakfast and cup of coffee. They're simple, delicious, and healthy. My mom made these for us last week while she was visiting. And I made them again for breakfast this morning. I haven’t been feeling well all week and Jack is also home from work today. Suffice it to say, we overdid it a little during the sxsw weekend… a few too many late nights, a few too many tacos from trucks. I’m calling it south-by-sickness. The cure? Simple food. These muffins aren’t too sweet, and they’re not too indulgent. But they were the perfect little pick me up with a nice coffee to start off this slow morning. Preheat oven to 350 degrees. Grease a 12-cup muffin tin. 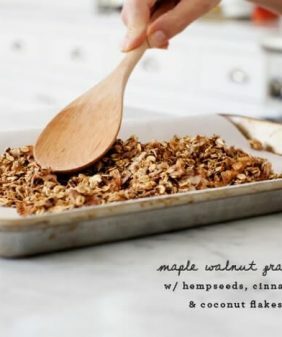 In a large mixing bowl, combine flour, baking powder, cinnamon, salt, chopped apple and nuts. In a separate bowl, whisk together milk, egg, sugar, and oil. Add wet ingredients to dry and stir just until combined. Divide batter into the muffin tins and bake for 18 minutes or until tops spring back when touched. Don’t overbake. Cool for ten minutes before removing from the tins. Lightly sprinkle coarse sugar on tops of muffins. The second time I made these (not pictured), I brushed on a little melted butter and sprinkled some brown sugar on top. *make sure your oat flour is gluten free, some brands are not because they process their oats alongside other grains. (ie. the Bob’s Red Mill brand is gluten free). Looks delicious! I hope you feel better. These sound wonderful! Do you have a favorite gluten free flour blend? I have been experimenting with different combinations a lot lately, and am always curious what others prefer. I should also add that I’ve had good outcomes with muffins & breads using half oat and half almond flour. I like Better Batter. 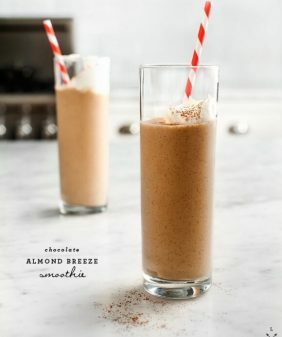 I have used it with Jeanine’s recipes and others and it is great. It is a bit hard to find in stores but is online. These look like just the right kinda cure, plus long naps, and snuggling up under some blankets on the couch. Feel better you party animals! I hope you had fun on sxsw and do not regret feeling a bit tired. Your pictures are beautiful and if this muffins taste like it look, it must be delicious. Plus I don’t like it too sweet. I love muffins! And I really want to start making them as breakfast throughout the week. These look so delicious! Looks wonderful! Hope you feel better soon. Hope you had a great time at SXSW! And I hope you feel better very soon. These muffins look wonderful. I’ve been craving muffins lately, so I think these better go on the list for this week. Thanks! These sound great! I will be making tomorrow along with your vegan banana bread recipe. It’s beginning to warm up here in AZ so I am trying to get all of my baking urges out before it gets too hot! I did have a question about the muffin recipe. In the ingredients you list 1/3 cup of sugar, but then you mention agave nectar in the instructions. If I use agave nectar do I still use 1/3 cup? Thank you. Hi Rebecca, that was a mistake, I just fixed it. You can use either or (not both). I tend to like baking with organic sugar rather than agave, but I’ve done both. This sounds wonderful! I am making these this weekend. I baked these this morning for my family. The recipe was easy to throw together (it helped that I have all ingredients on hand). For a gluten free recipe (I used oat flour and a mix of gf flours), the muffins were really moist and, as advertised, not too sweet. Thank you! These look amazing! Sorry to hear you’re not feeling well…hope you get better soon! Muffins always make me feel better. I hope you feel better too! simple, homemade food is the best medicine:) take care. they look really yummy. 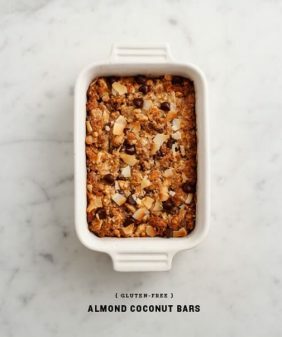 i would be interested to try your recommendation of half oat flour and half almond flour. i usually bake with all almond flour which yields good results, but they’re always very moist. thanks for the suggestion! Looks delicious! 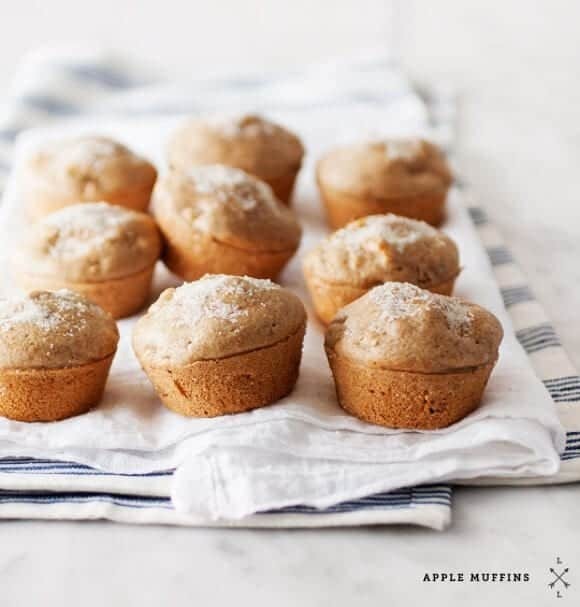 I love apple muffins but have never made them myself. Might have to add this my brunch menu this weekend! Just to clarify your gluten free tag…. Spelt flour is not gluten free. I hope that you will make note of this in your recipe so that people looking for gluten free recipes do not mistakenly use spelt flour and assume that they are not getting gluten. If oat flour is substituted, it needs to be from certified GF oats, like Bob’s Red Mill brand. thanks, I clarified that in the recipe a bit more. I can see how that might have looked confusing especially since I used it with the gf all purpose flour. I made these yesterday, and they were delicious! My family agreed that the muffins strike the right balance between savory and sweet. I might add a splash of vanilla extract next time to add additional flavor. do you have to add xanthan or guar gum in with the GF flour? I had some apples to use, so I googled Apple Muffins and you popped up. Then I got clicking around and printed several recipes. The muffins were the bomb! Hey Jeanine! These muffins were delicious. Thanks for all of your awesome recipes. 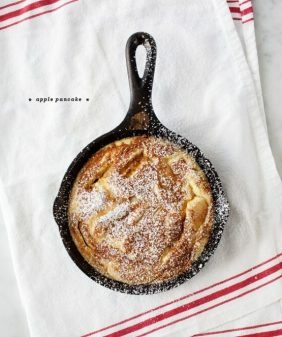 Do you think this recipe would turn out well if I baked it in a loaf pan? 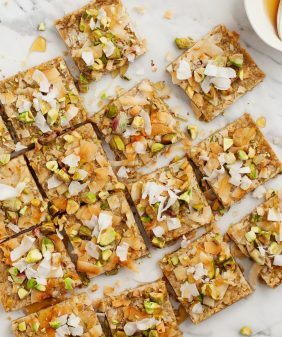 Hi Alisha, I recommend finding a recipe that specifically uses those ingredients – swapping flours, oils and sugars while baking does not always yield the same results. You might also want to experiment with a few different types of GF flour – some brands are more gritty than others. I’ve had the best luck with Pamela’s flour. Hope that helps!